The family home of the Oliver family was inherited in 1799 by Richard Oliver the eldest son of Right Hon Silver Oliver. Later when he married Mary the step-daughter of Sir Thomas Gascoigne in 1804 he would not have imagined that only six years on, he would be bequethed a lifetime interest in the Gascoigne estates. Therefore the estates of both families were combined after 1810. 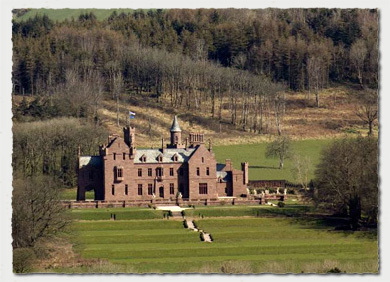 Castle Oliver was re-built after the death of Richard Oliver Gascoigne in 1843, by his two surviving daughters, Isabella and Elizabeth. 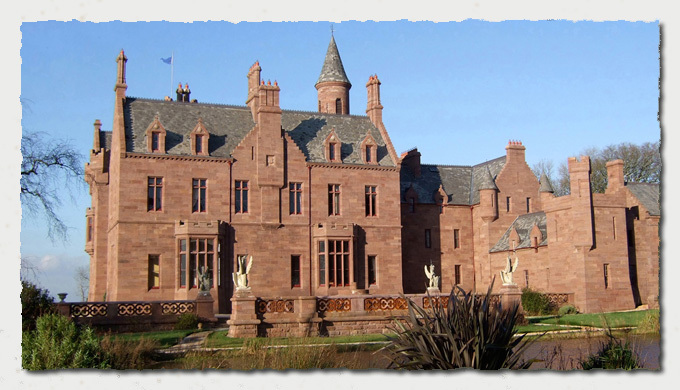 The architect George Fowler-Jones, fashioned on their behalf a new castle in the Scottish Baronial style. With the foregoing in mind it is thought that the new castle was a source of considerable work for the local population.